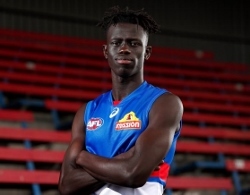 The following article from Kavisha Di Pietro on the AFL Players website www.aflplayers.com.au explores the journey of another young Sudanese footballer making his way onto an AFL list and hoping to emulate the deeds of Aliir Aliir and Majak Daw. Western Bulldogs draftee Buku Khamis’ memories of his childhood in South Sudan are hazy. He can recall how the sand would burn his feet as he played outside in the heat but he doesn’t remember much more from back home. The 18-year-old was only six when he migrated to Australia with his parents and siblings. His journey across the globe would be his first time on a plane. “I don’t remember too much from living there but I do remember coming on the plane to Australia not knowing where we were going or what was going on,” he told AFLPlayers.com.au during his first AFL pre-season. 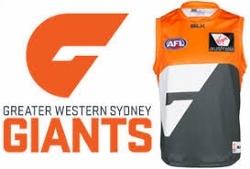 In a massive coup for AFL Middle East, the AFL club Greater Western Sydney Giants (GWS) have agreed to work together to help develop the Middle East’s competition. 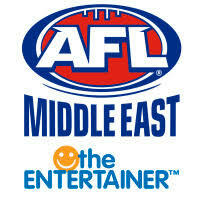 The following statement from AFL Middle East Operations manager, James Larkin, details the arrangement. Introduction: On the morning of December 21st, the AFL Middle East (AFLME) announced it had come to an arrangement whereby it would develop a relationship with the AFL club – Greater Western Sydney Giants. 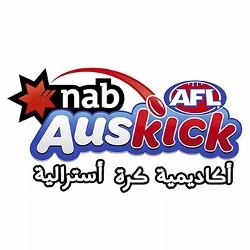 This relationship was sought as a means to help expand Australian Football in the greater Middle East region at all levels including Auskick. The opening round of the new 2018/19 AFL Middle East season got underway yesterday in Dubai with two tight matches which produced two significant results. The Dubai Dingoes came out snarling against the Abu Dhabi Falcons, whilst the Dubai Dragons won a thriller against the Multiplex Bulls. 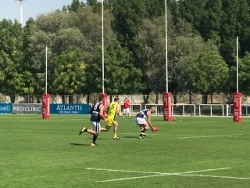 In the opening match on a hot morning at the Sevens Stadium in Dubai, the Dubai Dingoes got their bark back and put a serious bite on the Falcons. In a tight opening half, it was the Falcons getting their noses in front to go to the main break with a seven point lead. The Dingoes came back out after the break with renewed spirit – conscious that their new season needed a positive start – and rammed home eight goals to five after half time to win the game by ten points. It wasn’t the start the Falcons were looking for. After the promise of last year they needed a good start to the season. However, the Dingoes would be delighted with the win after a tough season in 2017/18. Already they are in a position to challenge for finals later in the season if they can snare another couple of wins. The bi-annual tour of Under 17 talent from St Marys Sporting Club in Geelong has been completed for 2018. The club’s long association with South Africa, and particularly the work of AFL South Africa, has seen students tour three provinces in what is described as a “life changing experience” for those students. Other tours for St Mary’s students include Ireland and Cape York Peninsula communities in Australia. 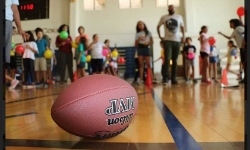 The South African tour features a series of matches and clinics for kids across the Western Cape, Kwa-Zulu Natal and North West provinces in association with AFL South Africa and AFL FootyWILD. 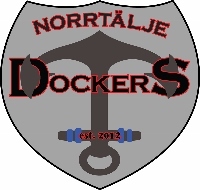 After a closely run season in the Stockholm Australian Football Federation (SAFF) competition, the Norrtälje Dockers will clash with the Solna Axemen in the 2018 Grand Final. Having won their respective ways into the biggest game of the year, both teams will put on a great show in front of the Stockholm locals at Skarpnäck Sportfält. 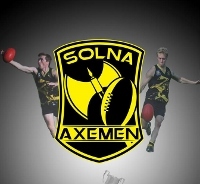 The SAFF Grad Final is one of the premier sporting events on AFL Sweden’s calendar. The Dockers will play in their second Grand Final. They already have a 100% record in the biggest game of the year, having won their one and only back in 2016. After finishing the home and away season on top of the ladder, the Dockers will start slight favourites. The two teams have clashed three times this year, with the Dockers winning two of those matches. The following article, is translated as closely as possible from the original story in Arabic for the www.filgoal.com website – an Egyptian sports website. 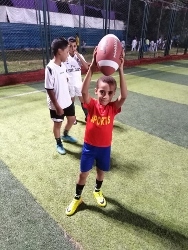 Certainly, the appearance of this story in the Egyptian sports reporting market indicates a growing interest in the game, built almost entirely on the back of an Auskick program run by Professor Mohammed Hashem at the American University Cairo. Can you imagine a game that holds the mix of football and hand [handball] togetherω Australian football, that you will probably [be hearing] about for the first time, will give you that mix. Australian football is a wide-ranging game in its country [played Australia-wide], with the highest scoring rate in the country, and the Aussie’s [game is] the fourth-highest in all sports after the NFL, Bundesliga and English Premier League. It wasn’t the first time that Aliir Aliir and Majak Daw had played against each other. Early in their careers they occasionally lined up on each other, including their first time at the highest AFL level in August 2016 (see A Glimpse Into An African Future) down in Hobart. But almost two years on, both have moved further into their careers and after yesterday’ thriller at Etihad Stadium, both have gathered even more spotlight. 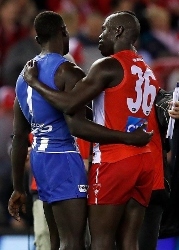 Aliir Aliir and Majak Daw were lined up on each other for three quarters at Etihad yesterday. Both have had to re-establish themselves at the highest level. Aliir from injury and indifferent form across 2017 and early 2018, whilst Daw had reinvented himself for much of this season as a Kangaroo defender. However, on the weekend, they were back in their former roles – Aliir the powerful defender and Daw the athletic forward. For three quarters both dazzled and entertained in a power struggle within a bigger struggle as the Roos and Swans remained within touch of each other. Then Aliir got loose up forward for the Swans and kicked the match-winning goal in a thrilling finish. Aliir’s effort sent Swans fans into delirium and Roo fans despair. On the day Daw on the statistical battle with four goals. Aliir’s single goal won the match.